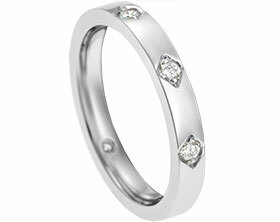 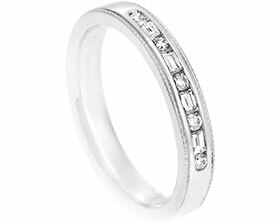 This classic 9 carat white gold eternity ring holds a central 2mm brilliant cut G-H VS1-2 diamond, with two 1.75mm, two 1.5mm and two 1.2mm brilliant cut G-H VS1-2 diamonds (totalling 0.43ct). 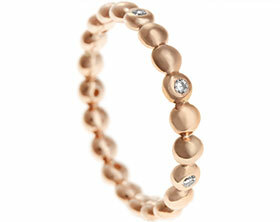 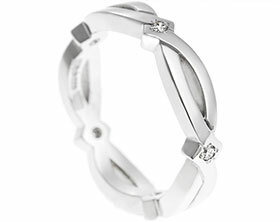 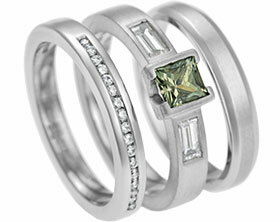 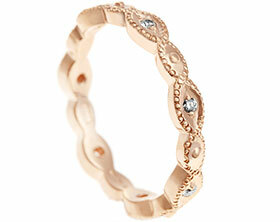 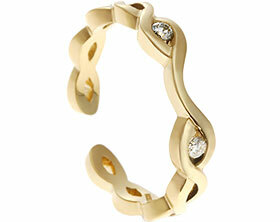 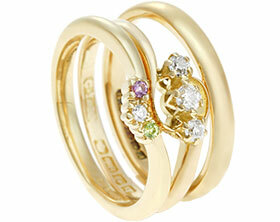 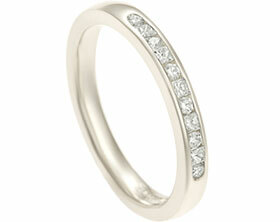 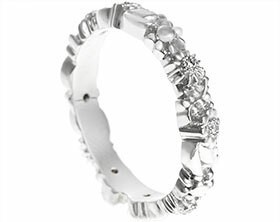 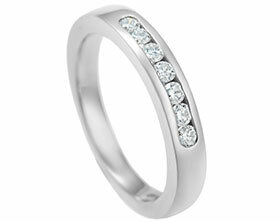 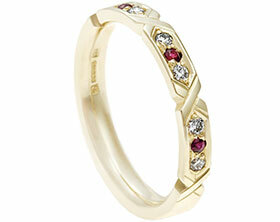 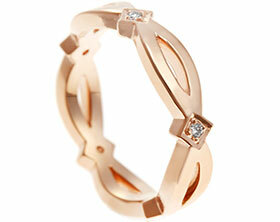 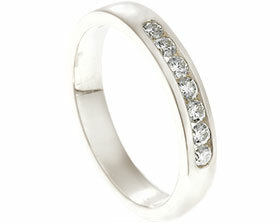 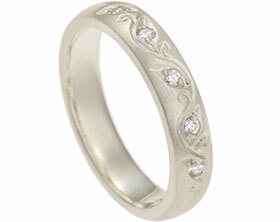 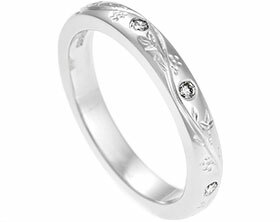 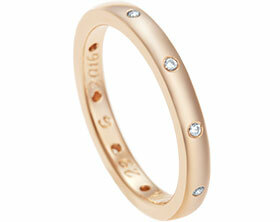 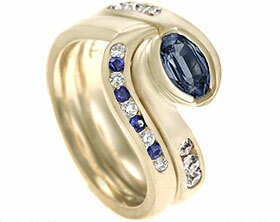 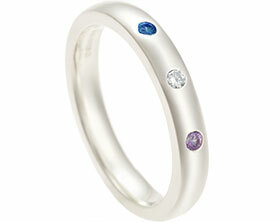 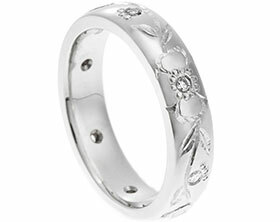 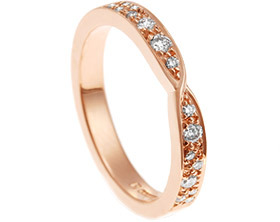 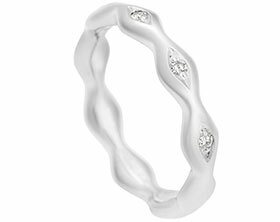 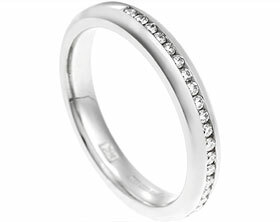 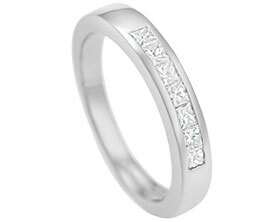 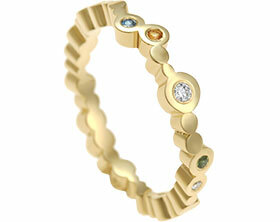 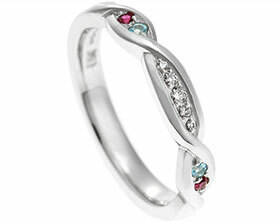 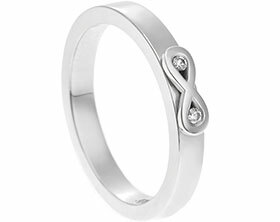 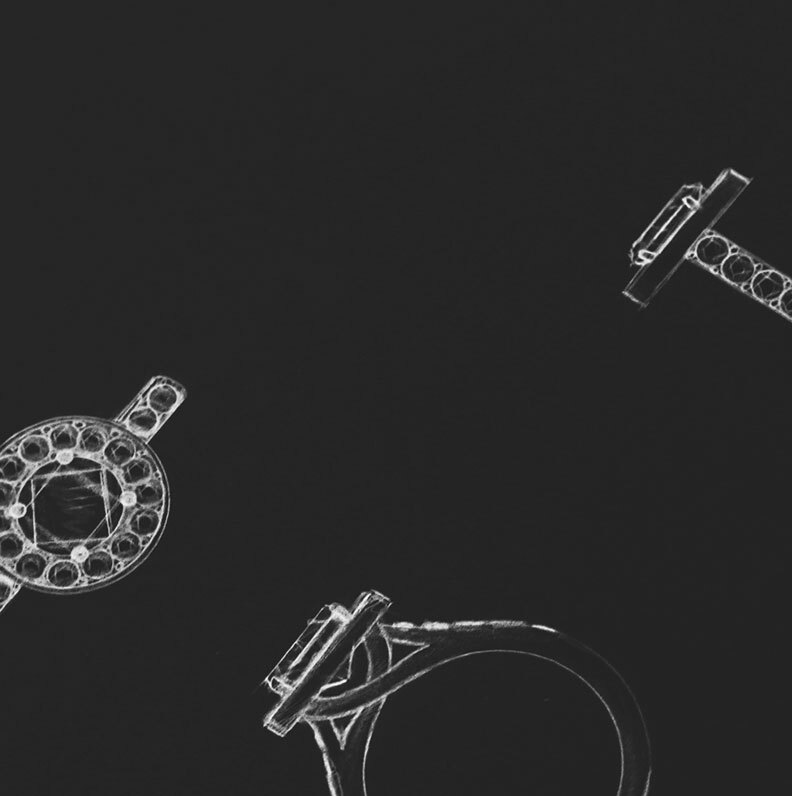 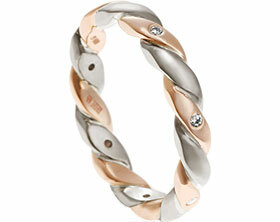 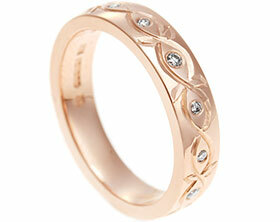 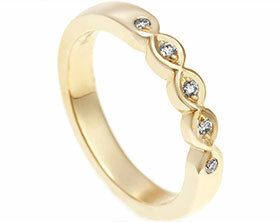 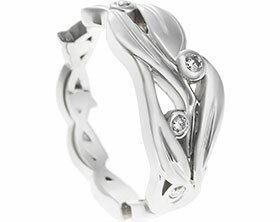 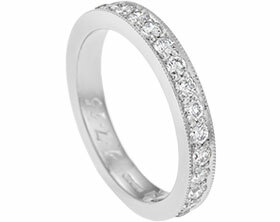 The beautiful stones have been pave set across the front of the 2.8mm band. 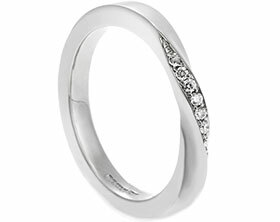 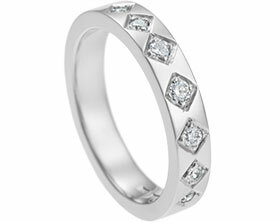 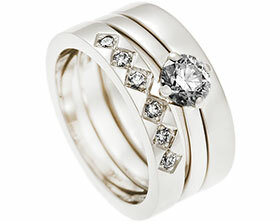 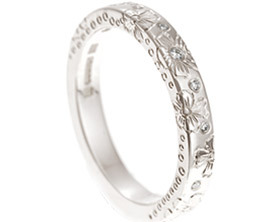 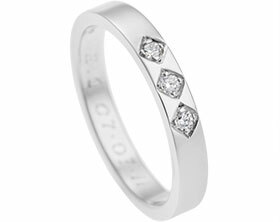 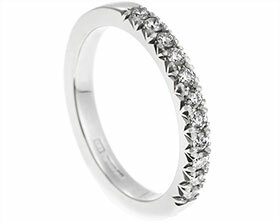 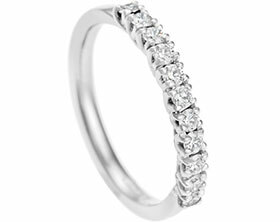 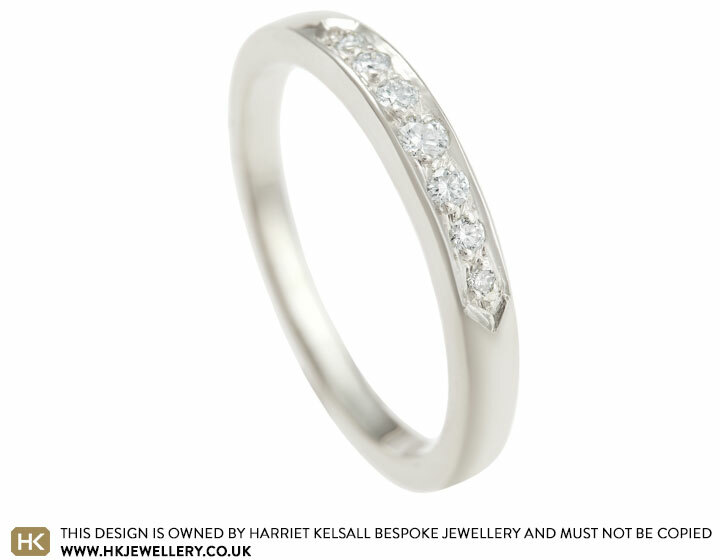 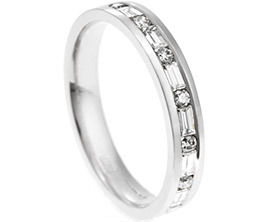 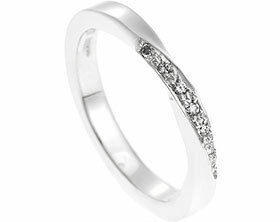 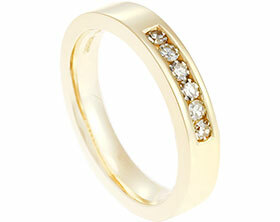 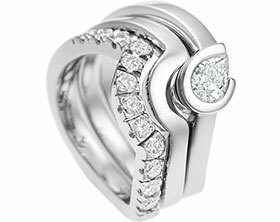 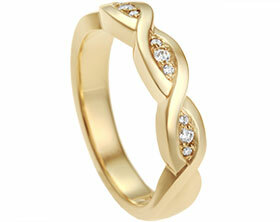 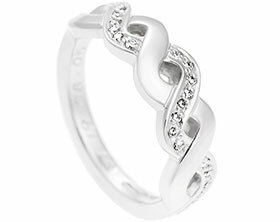 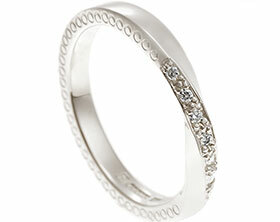 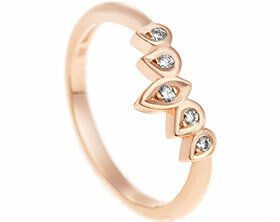 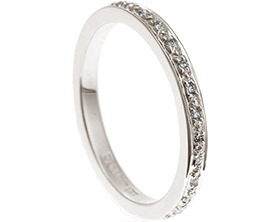 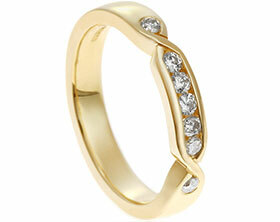 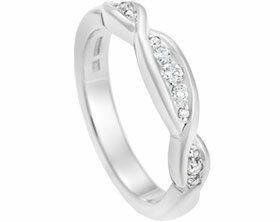 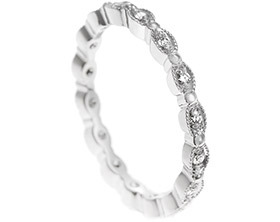 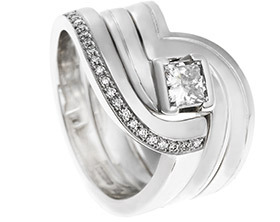 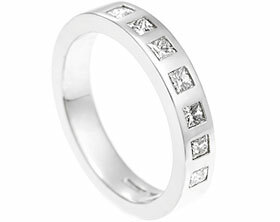 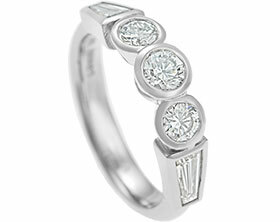 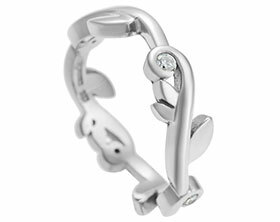 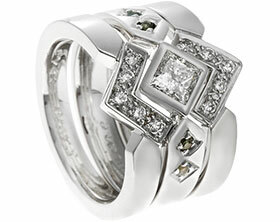 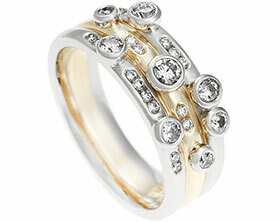 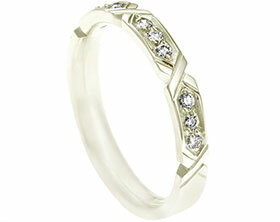 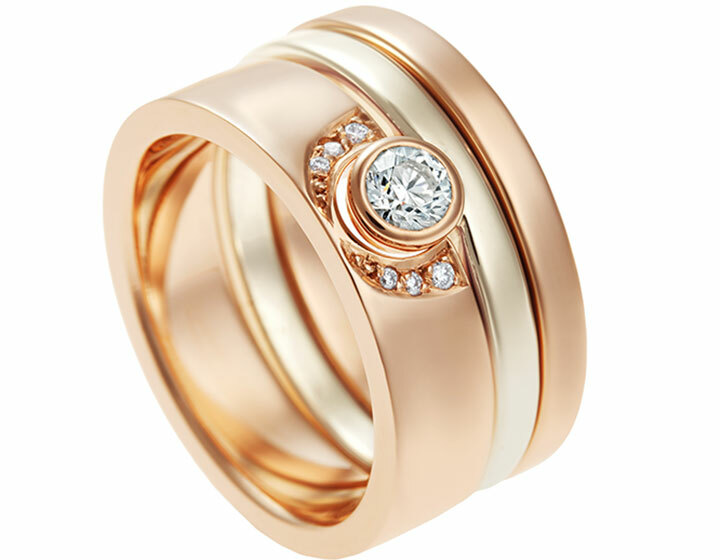 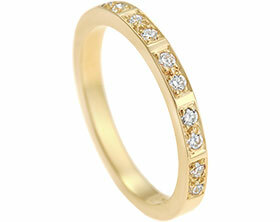 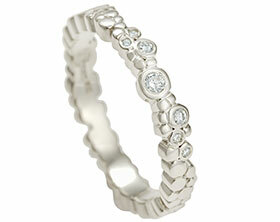 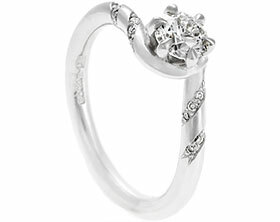 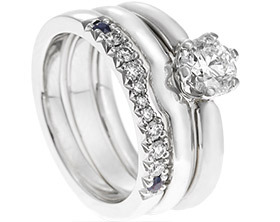 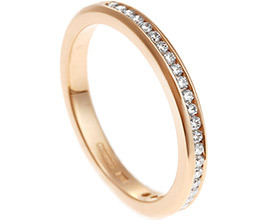 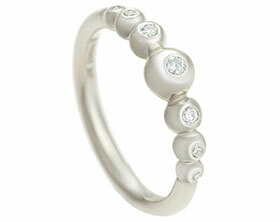 The pave setting gives the ring a beautiful vintage feel, whilst creating a burst of sparkle across the top.